I find it ironic that some of the best speech pathologists use smartphone and tablet apps as a central plank of their clinical treatment. It seems that these devises are also blamed for creating the problem in the first place. My view is that the best way to enhance a child’s vocabulary is to speak to them regularly. Unfortunately, many parents don’t have the same time with their kids that previous generations have had. The modern working family often relies on child care, which is not always the best place for kids to get regular conversations. MORE children are starting school with serious speech problems because parents relying on smartphones and iPads as “babysitting” tools are allowing excessive use, education leaders have warned. Up to one in eight children in some preschool and Reception classes need speech therapy because they have been starved of conversation and not read to enough at home. School leaders want more access to speech pathologists to tackle growing numbers of students struggling to make basic phonetic sounds. Some parents are resorting to private therapy even before their children begin kindergarten. 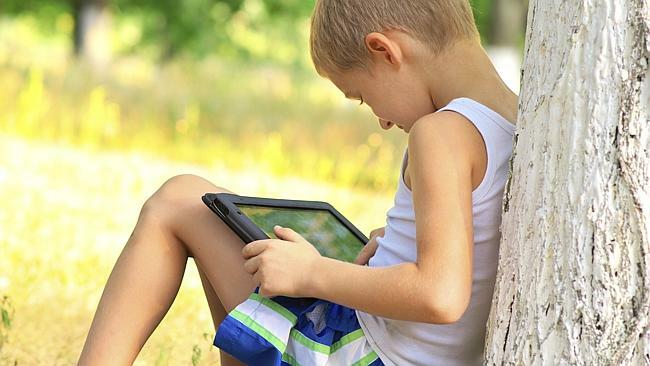 SA Primary Principals Association president Pam Kent said digital devices were “a fantastic tool” but “they should not be a babysitting device”. “It’s not that we’re sledging parents but all these (electronic) activities need to be monitored in moderation. They are quite addictive and children can become quite obsessive about them,” she said. I would like to see teachers modify their expectation of preschool language standards and instead of farming under performing children to speech pathologists, show a greater preparedness to fast track them from within the classroom. Let’s just assume that children have less than ideal skills in areas such as speech and build a curriculum that meets these challenges rather than sticks up the white flag and reaches for the nearest specialist. Click on the link to read Is “Bubble Wrapping” Your Child Really Worthwhile? This entry was posted on June 23, 2014 at 9:47 pm and is filed under Child Development. You can follow any responses to this entry through the RSS 2.0 feed. You can leave a response, or trackback from your own site.